Online Slots – Spin and Win at Gaming Club Ireland! Plenty of casino games have been successful in the online arena, including Blackjack, Roulette and many other table games. 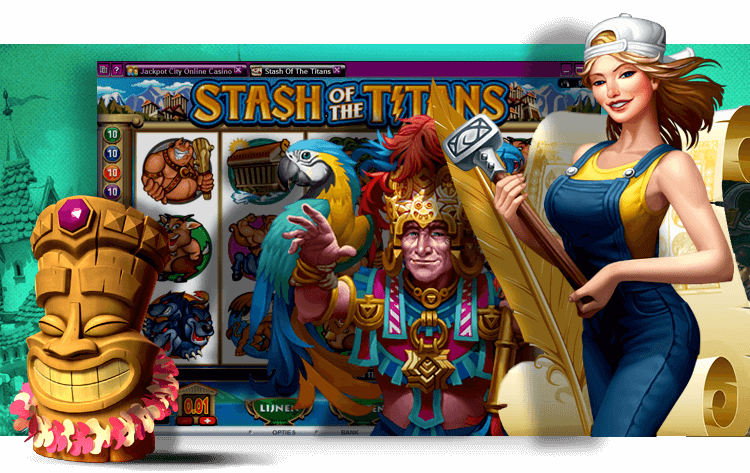 Online slots are, however, undoubtedly the most popular of all. And when you see the range that is available at our casino, you will understand exactly why! Roulette, Craps, Black Jack, Baccarat and several other casino games have longer histories than the spinning reels do, but the earliest slot games still go back more than 100 years. The physical machines became popular in the bars around Brooklyn and San Francisco in the first years of the 20th century. From there, the one-armed bandits made their way to the bright lights of Las Vegas in the 1960s and 1970s, and then spread to the rest of the world. Today they are beloved in Ireland and the rest of the world, and are as much a part of a casino as Black Jack, Craps or any other classic. These are not only attached to slots; they are also seen in other casino games such as Blackjack online. The majority of them are side games in classic and video sets of spinning reels, however, and if you are lucky enough to trigger a jackpot your life will be changed forever. Each bet placed by every player on a game that is on the progressive network contributes to the central jackpot. That means that it keeps growing until it is activated, and then resets and starts climbing again. Whether you win or not you can enjoy high-quality games, and the fact that the cumulative prize can be awarded at any moment makes things even more exciting! Any operator trying to create the greatest online casino Ireland has ever seen needs to take the games of the spinning reels seriously, and we certainly do. Every slot title we offer is powered by Microgaming, which has been supplying us with top class titles since 1994. The graphics and sounds of all games will put you in a spinning mood straightaway, and the huge potential payouts will keep you there. Microgaming is especially renowned for their slot entertainments, and they provide the perfect balance to table games such as Blackjack online. We’re proud to offer the full Microgaming library, with every game that you could ever want from a casino online. With classic, video and progressive titles, Gaming Club really is the best online casino Ireland has available when it comes to spinning the reels. Technically almost all games are now video in nature, and always have been for those playing at a casino online. However, the name is reserved for games inspired by the first land-based machines to use this technology and replace actual reels with graphic simulations. The video technology meant more reels, paylines, special features and bonus rounds could be used, and that themes could be much more immersive. All of this is still true today, as you will notice when you play at our online casino. The immersive storylines that unfold as you play are limited only by the imaginations of the designers, and cover everything from fairytales to modern city life. Branded games such as Phantom of the Opera and Jurassic World will make you love the franchises even more, or convert you into a fan. These are close to the original one-armed bandit machines, with fewer eels, paylines and special features than other games. Their payouts are just as impressive, but the actual gameplay is simpler. Play them when you are still learning about online slots, or if you want to slow the pace down but you don’t feel like Blackjack or any other table games.